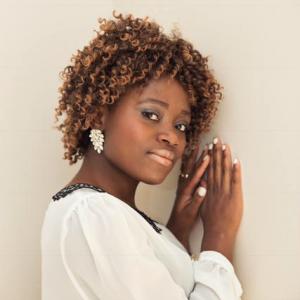 Gracia Mukiibi is a Congolese born, Australian freelance journalist, author, human rights advocate, motivational speaker, and public servant who arrived in Australia under the Humanitarian Visas Program in July 2005. Gracia graduated in 2013 from the University of Wollongong with a double degree in Bachelor of Communications and Media Studies (with distinction) and Bachelor of Commerce. She has also completed her Master of Business Administration, majoring in Leadership (with distinction). Gracia completed a freelance journalism course at the age of fifteen and has since had several articles published on social justice and youth-related issues. Gracia published her first book titled A Little Recipe for Success in May 2012, aiming to empower and equip young people to take leadership and discover their life’s purpose. Gracia has a passion for young people and women. She works tirelessly to advance the status of women and her ultimate dream, which she is already pursuing, is to build all-girls colleges in low-income countries that will provide affordable high-caliber education to the most disadvantaged. She has been an active member of the community over the years and has received numerous accolades in recognition of her contribution to society. She is the Co-Founder and Vice Chair of Voice of Hope International Ministries, a non-profit organization which reaches out to vulnerable communities, transforms lives, and impacts nations, hence giving hope to the hopeless and enabling individuals to reach their full potential. Through this chapter, I share my life journey to revive the hope of other women who are living in devastating circumstances and I also hope to shed lights into the political dilemma the Congolese nation have struggled with for more than a century.